Lock in a great price for Les Saints Pères – rated 8.7 by recent guests! The staff were lovely and the ambience memorable. Meal was excellent. 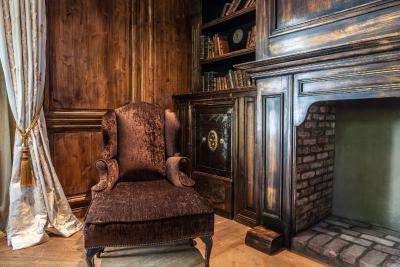 Beautiful rooms - furniture in old style (~1850) , but still in the best quality, Bathroom beautiful and modern. Restaurant in hotel - very good. We loved the whole place, beautiful! Wonderful setting, fabulous interior, the pool was delightful and the views stunning. Breakfast was very good. 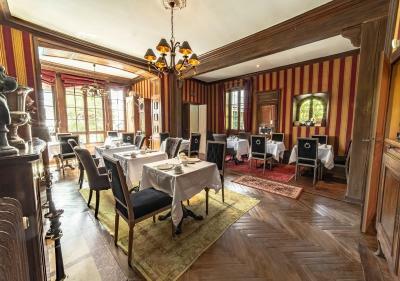 Spectacular location with view on Chambéry, authentic design of rooms, excellent restaurant - but first and foremost outstanding service by hotel team! Loved this out of the way, top class, hotel. Intimate, rooms were amazing. Staff were so on hand to help with anything needed. Pool was fab, breakfast superb set under the grape vines. 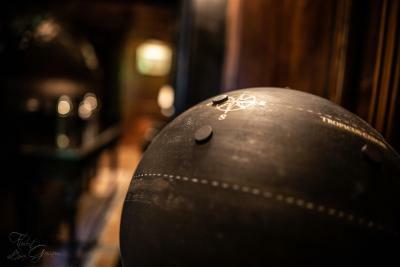 A secret find, we will be there again soon. 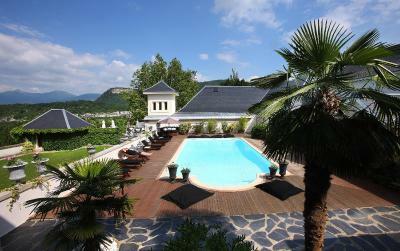 Pool area was excellent, views down to Lac Bourget are stunning. 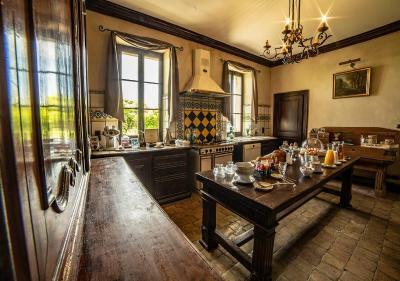 The room was tastefully decorated in period of when the original house was built. The location was ideal, wow what views. The pool area was beautiful, our room was majestic and breakfast was in a very relaxing environment. Fascinating building. Pleasant staff. Good meal. Beautiful setting. Most friendly and personable staff. Excellent room, pool, breakfast and gardens. The restaurant was closed for dinner on the day we were visiting, but we did have a wonderful breakfast there. A highly recommendable venue. 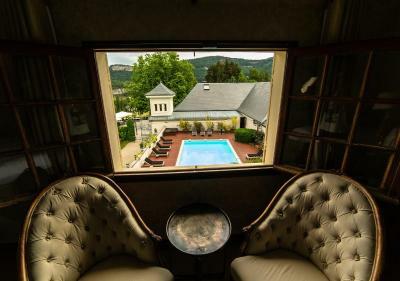 Located 3.1 mi from Chambéry, this charming hotel features a panoramic view of the Lac du Bourget, a big shaded garden and an outdoor swimming pool with sun beds. A bar and a traditional restaurant are available. Free WiFi is provided in the entire property. 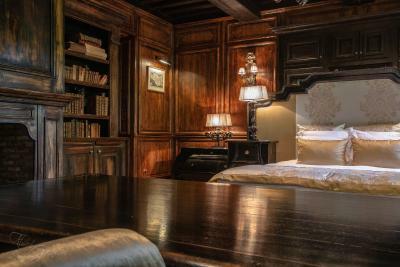 Furnished with antique furniture, each room with attached bathroom at Les Saint-Pères includes a TV, mini-bar and a safety deposit box. They all have a view of the garden or the lake and a hairdryer is provided in each room. 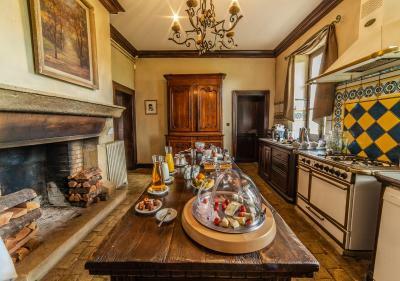 Les Saint-Pères serves a buffet breakfast. 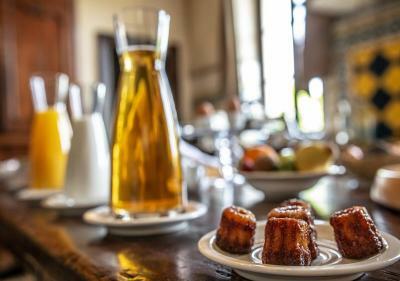 French specialties are proposed for lunch and dinner and during summertime they can be taken on the terrace. The Lac du Bourget is a 20-minute drive away and the Apremont Golf Club is 3.7 mi away. Chambéry Train Station is 5.6 mi away and Grenoble Isère Airport is 12 mi away. The A43 Motorway access is a 15-minute drive away and the village of Montagnole is 5.6 mi away. 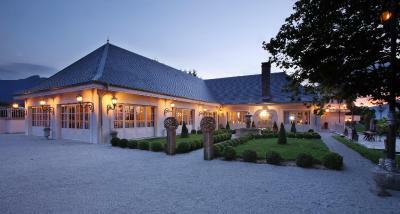 This property also has one of the top-rated locations in Montagnole! Guests are happier about it compared to other properties in the area. This property is also rated for the best value in Montagnole! Guests are getting more for their money when compared to other properties in this city. 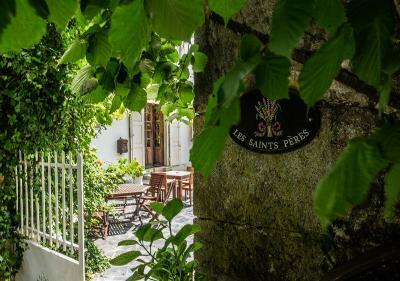 When would you like to stay at Les Saints Pères? 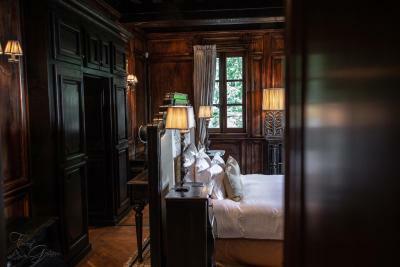 With a garden view, this room features antique furniture, a TV and a mini-bar. The private bathroom includes a shower. 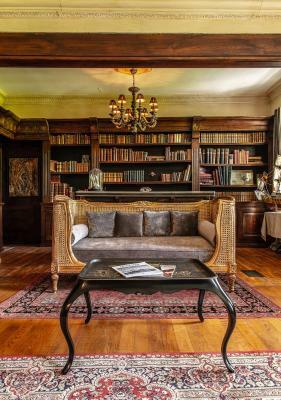 With a mountains and lake view, this room features antique furniture, a TV and a mini-bar. The private bathroom has a bath. With mountain and lake views, this spacious room provides direct access to the swimming pool. The private bathroom is complete with a bath. This double room has a garden view, seating area and mini-bar. 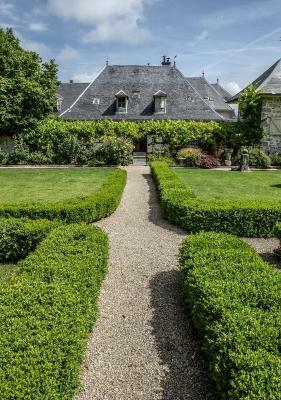 House Rules Les Saints Pères takes special requests – add in the next step! ANCV Chèques-Vacances Les Saints Pères accepts these cards and reserves the right to temporarily hold an amount prior to arrival. Les Saints Pères accepts these cards and reserves the right to temporarily hold an amount prior to arrival. Please note that the restaurant is closed on Sunday evening and on Monday all day. Personal didn't speak English very well, but still I was understood and got everything I needed. Unfortunately, we arrived on a Monday when the restaurant was closed and the whole hotel seemed closed up. We were tired from a long journey and wanted to sit and relax, but we had to go out again to the local town for dinner, where most of the restaurants also close on a Monday. The restaurant, one of the undisputable highlights of the hotel, was closed. Certain inconveniences in the room made the stay much less comfortable (non-working toilets door, loud mini-bar, blinking lights of smoke detector directly over the bed). The hotel seemed understaffed. Decently sized pool. Grand view. Flies in the bedroom not that nice. Dinner menu was over priced with limited choice. Alas I didn’t read the hotel detail in depth so was a little annoyed that the restaurant was not open on Sunday and only had a basic menu on Monday. We did however enjoy a really good meal at Twenty’s in Chambery on Sunday evening despite the taxi there and back costing 40 euro’s + in total. Our room was very small, not like the photos on booking.com. The hotel was full so perhaps we had one of the last available. No window or ventilator in toilet. It is quite and relaxing with good view. Food and service in the restaurant is enjoyable. What an amazing place, we spent the night here and had dinner in the restaurant for our wedding anniversary and it was a real treat. The staff are very friendly, the whole place was stunning. Highly recommend. 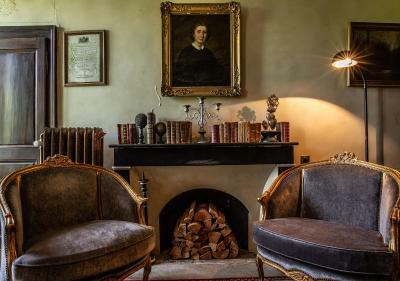 The whole place is very exclusive, there are only a dozen rooms and therefor the atmosphere is great. The staff is very friendly, patient and gives you all the information you request for. Rooms are very beautiful and put you back into times. I will come back for sure. 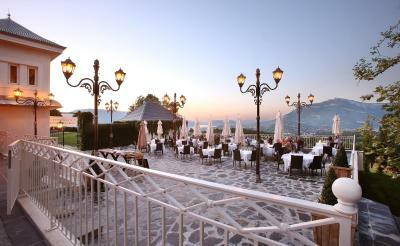 Beautiful surroundings with attentive and friendly staff. Plenty of nice walks nearby. Friendly welcoming staff, a real buzz about the restaurant, fabulous location close to lac du bourget and aix les bains.